2nd entry - never put all eggs in one basket case. didn't realise you were adding them to a list. I dont know if everybody will agree with my idea, but it wouldn't work better if we put the best entries toghether? I like this one. Could you make the image in the magnifying glass larger ? I like this one. Could you make the image in the magnifying glass larger ? and loose the drop shadow on the text. Rih0 wrote: I dont know if everybody will agree with my idea, but it wouldn't work better if we put the best entries toghether? When the closing date arrives, I'll shortlist those I consider to be the best and will put them to a vote in Live Chat... the list at the beginning of this thread s just there so that all the uimages can be seen together in the same place. I like it too. It is pretty much the idea I had in mind, but hadn't found time to put together. Mr benn, you couldnt understand my point. What I said is: could the best 3 entries be mixed into a single image? I would be very surprised if any one of these entries would look right squeezed or blended to fit the box with two others. Rih0 wrote: Mr benn, you couldnt understand my point. What I said is: could the best 3 entries be mixed into a single image? I'll sort out the other winners of premium at some point tomorrow - if you still want to be in with a chance to win 3m premium, then hurry up and join the Map Surveyors Usergroup! There were 21 entries, which are listed in the 2nd post of the thread. 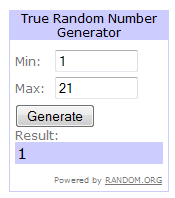 The random number generator at random.org picked number 1, which means dolomite13 gets a bonus 3m premium. There are currently 71 members of the Map Surveyors Group. 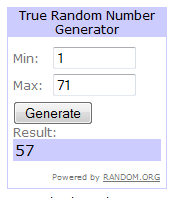 The random number generator at random.org picked number 57, and by my counting, that means Leehar also gets a bonus 3m premium. Many thanks to all of those who took part; and congratulations once again to Sir.Ricco for creating the winning entry. Cool. Thanks for the contest!